It is worth repeating that venue of Turf Moor because other sources have given the venue as Gawthorpe or even Oakwell, and as per the previous round the Bob Lord Stand will be open for the game. 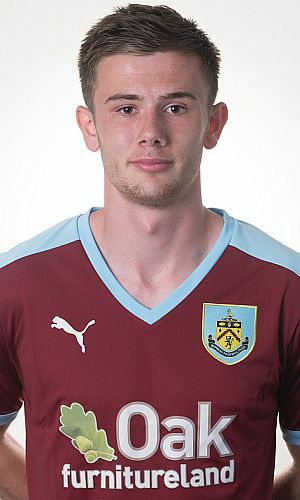 In the last round, Burnley took full advantage of the rule that permits three over age players to take part with central defenders Tom Anderson and Kevin Long joined by Fredrik Ulvestad in the team, but it looks as though we'll be playing a young team tonight with potentially few players over the age group. The suggestion is that none of the first team squad, who have been training in Spain, will feature and with both goalkeeper Conor Mitchell and full back Cameron Dummigan on international duty we'll be further weakened. I would think Tony Aghayere from the youth team will be in goal with Danijel Nizic currently at Crewe on loan. The lack of those over age players previously mentioned should give Steven Hewitt an opportunity to play and players such as Arlen Birch (pictured), Alex Whitmore and Renny Smith will be pushing for starting places. There's no news from Barnsley of their team but that could also be a young team with their first team in Johnstone's Paint Trophy action tomorrow. Kick off tonight is at Turf Moor at 7 p.m. If you are a season ticket holder then admission is free on production of your season card. Price for non-season ticket holders is £3 adults and £1 concessions. This round got underway last Monday when Cardiff beat Bristol City 2-1 after extra time at Cardiff. On the following day, QPR lost their home game 2-1 against Brentford, a game played at Harlington Sports Ground, and last Thursday Millwall won through, beating Plymouth 1-0 at home. Our game is one of four to be played tonight. All the Qualifying Round 2 games are shown below along with the results or dates for the fixture.